And it’s also National Vegan Day! One of the best times of year! 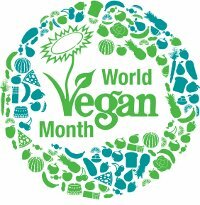 Great time to celebrate and promote veganism around the world. Take the vegan pledge! Cheers!